Wild Iris Mountain Sports, located at the base of the Wind River Mountains in Lander, Wyoming, is a locally owned outdoor clothing and equipment retailer. Since being established in 1990, Wild Iris has become a cornerstone business in the community by providing outdoor enthusiasts with the best clothing and gear in the industry. Your friends at Wild Iris are happy to share their first-hand knowledge and experiences about the vast playground that surrounds Lander. May 2,2018 area conditions update for climbing areas and popular trailheads around Lander and the Wind River Range. Wild Iris Mountain Sports' Spring Fling Fundraiser to benefit The Nature Conservancy in Wyoming. Wild Iris Mountain Sports features the best clothing and gear in our store at 166 Main Street in Lander, Wyoming. To help you plan your excursions, we have a complete selection of guide books and USGS topographic maps for the area. Whether you're climbing at Sinks Canyon or Wild Iris, or you're headed into the Winds for a ten-day backpacking trip, our experienced staff are happy to make suggestions based on your specific needs. 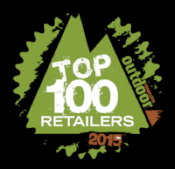 The gear we sell here we test outdoors ourselves to give you the best quality gear in the industry. We stand by the gear we sell as much as we stand by our employees and customers. We make sure that everyone who passes through our shop will have the best possible adventures in our nearby mountains! Wild Iris Mountain Sports, located at the base of the Wind River Mountains in Lander, Wyoming, is a locally owned outdoor clothing and equipment retailer. Since being established in 1990, Wild Iris has become a cornerstone business in the community by providing outdoor enthusiasts with the best clothing and gear in the industry. Your friends at Wild Iris are happy to share their first-hand knowledge and experiences about the vast playground that surrounds Lander. Wild Iris Mountain Sports actively seeks to employ people who get outside regularly to enjoy nature nearby. As a shop we look for ways to positively impact the community be it through the best knowledge of local trails down to our refuse a bag program which gives back to the communities non profit organizations. If you’re climbing at Sinks Canyon or Wild Iris, heading into the WIND RIVER MOUNTAINS to go backpacking or fishing or need to know where to get on the trail for a quick bike ride or day hike, your FRIENDS at Wild Iris are happy to make suggestions based on your specific needs. We can outfit you with the best gear in the industry, and provide you with the most current LITERATURE. Wild Iris Mountain Sports is the local carrier of Steve Bechtel's climbing guidebook to the Lander area as well as many other informational books about the nearby recreational activities. Wild Iris Mountain Sports also can provide information from experience for your hiking, climbing, fishing, and backpacking dreams and adventures. We are proud of what we do here as a staff to encourage and help adventurers and wanderers have safe, fun times in the nearby mountains. We will do our best to help you have the best time in the backcountry, so stop by and let us know what you need and how we can help.